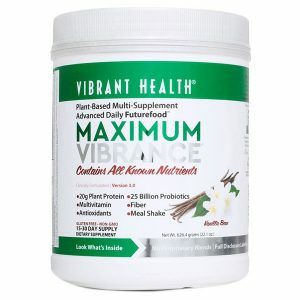 A gluten free formula for younger people, ages 2 to 12 containing, 9 Billion Probiotics from 9 Strains. 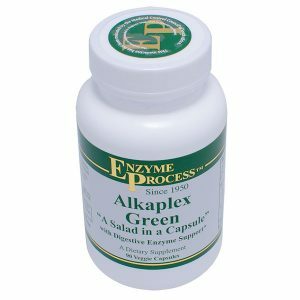 A concentrated superfood of protein, fruits and vegetables. 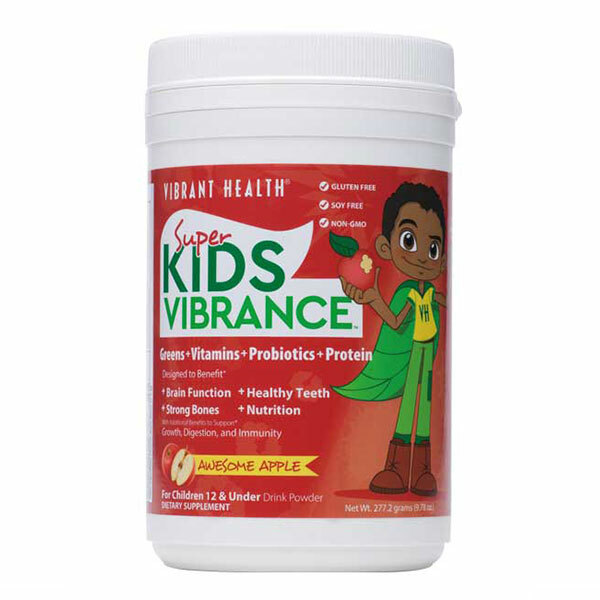 Super Kids Vibrance provides 4 ½ servings of fruits and vegetables as well as an organic plant-based multi-vitamin, multi-mineral complex, protein, and 9 Billion probotics from 9 strains. 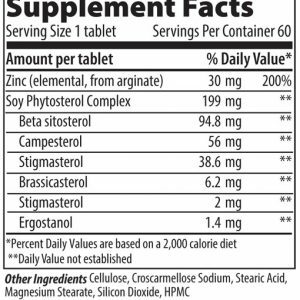 Children naturally require a daily intake of high quality protein to support development of their muscular, endocrine, skeletal, and immune systems. Healthy brain function is also fuelled by key amino acids that are converted to neurotransmitters in the brain. Super Kids Vibrance rapidly delivers a multitude of trace nutrients that will be used to support growth and development. 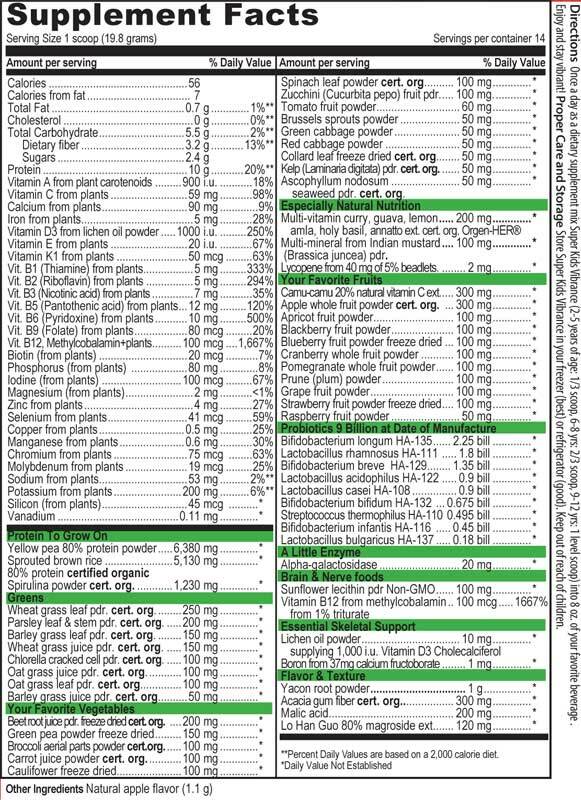 Cereal grass juices (i.e. certified organic alfalfa, barley, oat, wheat) alone deliver virtually all known nutrients and several uncharacterized growth factors that cause young animals to rapidly grow larger, stronger, and healthier with greater resistance to disease. Those same cereal grasses allow mature animals (and undoubtedly humans) to repair and replenish bodily tissues more quickly. It’s tough to love a vegetable. Children especially have trouble developing a passion for healthful vegetables. So is there a parent alive who does not wish her child would eat more vegetables? Here they are in Super Kids Vibrance -. A full complement of micronutrients is provided, including essential trace minerals from the sea. 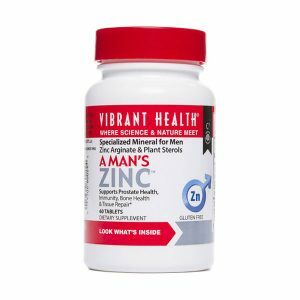 Those minerals help regulate blood sugar and fat metabolism, helping protect the child who uses Super Kids Vibrance from the modern childhood scourges of obesity and diabetes. 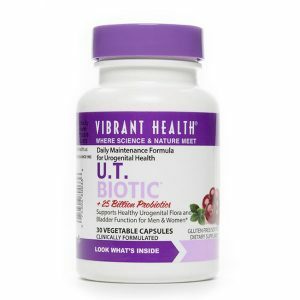 The rapid metabolism of a growing body calls for enhanced antioxidant protection. Super Kids Vibrance contains a colourful and flavourful selection of some of the best anti-oxidant fruits. The mineral complex from Indian Mustard (Brasicca juncea) is used to assure a meaningful presence of trace elements essential to growth and maturation (zinc), the synthesis of hemoglobin in each red blood cell (copper & iron), antioxidant enzyme support (copper, iron, zinc, selenium), cell membrane integrity (manganese) and blood fat and sugar control (chromium, vanadium, zinc.) Boron, as patented calcium fructo borate, plus a full 1,000 i.u. of Vitamin D3 from vegan approved lichen oil are also included to help assure proper development of a child’s skeletal system. The supplemental nutrient package in Super Kids Vibrance is rounded out with additional lycopene to support eye health. Early food prejudices in young children often cause some less than ideal foods to travel a child’s digestive tract. 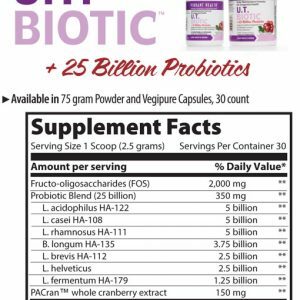 Probiotics help maintain and restore a healthy intestinal environment in the face of dietary abuse. Super Kids Vibrance delivers a robust inoculation of the gastrointestinal tract with nine different probiotics, specifically selected for children, to improve the one system that must function well first and foremost above all others if growth, development and health is to be maintained. Why choose Super Kids Vibrance? 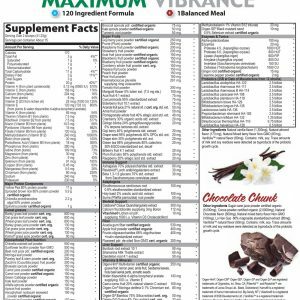 Once a day as a dietary supplement mix Super Kids Vibrance (2-5 years of age: 1/3 scoop, 6-8 yrs: 2/3 scoop, 9-12 yrs: 1 level scoop) into 8 oz. of your favorite beverage . Stir briskly or zap in a blender.